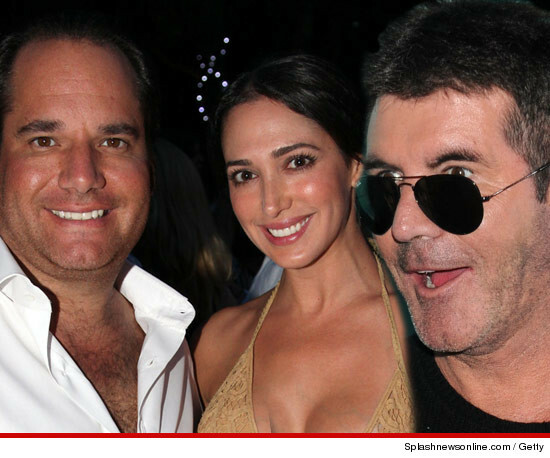 The friend Simon Cowell betrayed wants out of his marriage STAT ... because he thinks his wife is a starf**ker who doesn't need any money from him because she'll get a ton of cash from Simon ... sources close to the couple tell TMZ.Our sources say Andrew Silverman is gunning for primary custody of their 7-year-old son because Lauren is deficient as a parent ... often disappearing for long periods of time to hang with celebs. We're told Andrew found out of her affair with Simon this Spring, and was shocked when he saw a pic on TMZ Friday ... showing Simon and Lauren kissing in August, 2012, on a boat HE chartered.We're told there is a prenup and the money issues in the divorce are "minor." The real issue is custody. As one source said, aside from the fact that Andrew doesn't think Lauren is a very good parent, there's an element of revenge for being utterly humiliated.We're told all 3 people in the relationship want the divorce to happen ASAP. Simon feels it's a disaster for his TV show and public image. As for Lauren and Andrew, they both agree on one thing ... Simon pays well. They both expect Simon will do what he's done with his other girlfriends -- open up the vault.